Growing up, we’re taught to avoid “germs” at all costs, right? In school, we learn about the bacteria that cause illnesses and we automatically write off all mircobes “bad.” Thankfully, today’s Woman of the Week is shattering the taboo surrounding bacteria through the science of food fermentation and promoting good bacteria consumption! Kaitlynn Fenley is an LSU Microbiology graduate with a passion for the unseen world of microbes. This Power Pump Girl is a business owner that wears multiple hats as a microbiologist, fermented food artisian, and lifestyle blogger. And did we mention, her company, Cultured Guru is the FIRST fermented food company in Louisiana?! Talk about major bragging rights!!! Except, in getting to know her, you’ll find Kaitlynn to be completely relatable and (literally) down-to-earth! As mentioned, Kaitlynn (along with her life partner, Scotty), is the co-founder of the fermented foods company, Cultured Guru. 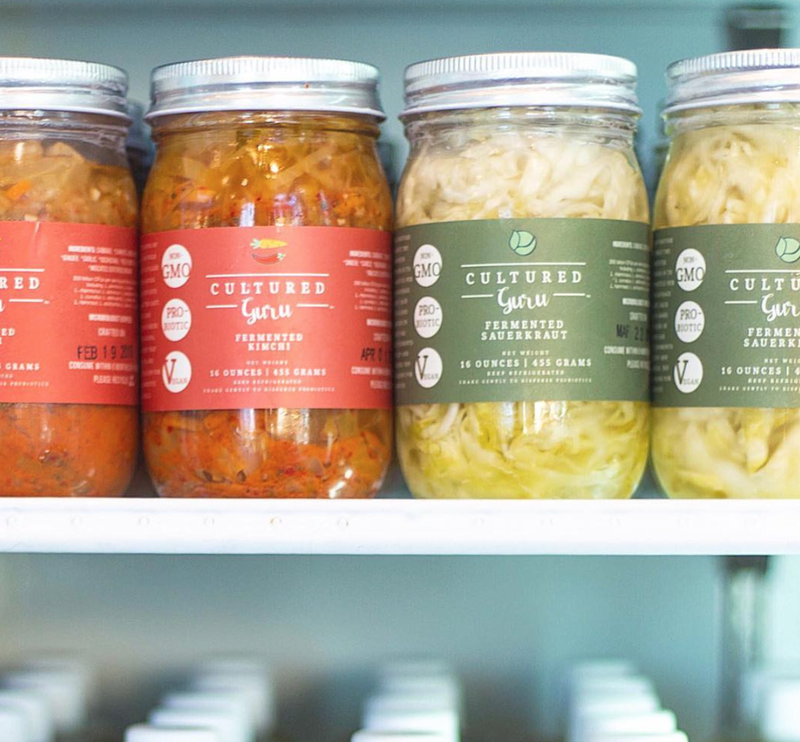 Cultured Guru is a sustainable fermented foods business that’s backed by science. Whether you knew it or not, fermented foods are pertinent to our overall health and wellness. Why? Because they are the best source of natural probiotics and prebiotics! Cultured Guru started organically (haha, get it?) as Kaitlynn’s passion project, which was only a lifestyle blog to start. Kaitlynn was the microbiologist responsible for unveiling the invigorating world of microbes while Scotty was behind the lens, capturing all the vibrant blog photos. The blog was dedicated to showing the world that microorganisms are vital to every aspect of life, especially to human health and happiness. In spending so much time bringing appreciation to the microbial world, the pair started eating a TON of fermented foods, and before they knew it, Cultured Guru was born! To date, Kaitlynn’s proudest accomplishment has been accomplishment itself: “I actually did what I said I would do, and started a business doing what I love. When you tell people you’re going to ferment sauerkraut for a living, a lot of them scoff. But hey, I am DOING it!” Yes you are – you go girl! The best part is, she encourages aspiring female entrepreneurs in the same way – just do it! Even when they scare or disappoint you, Kaitlynn believes it’s worth going for your dreams if there’s passion behind them. So far, Kaitlynn has faced and defeated some serious challenges, including that first giant leap of starting her own business. Since she IS a Power Pump Girl, we asked her about to share her fave pair with us and … well… “I don’t exactly wear pumps I wear Birkinstocks or tennis shoes pretty much always. I spend a lot of time venturing out of my mental comfort zone. Mostly everything I’ve done to start and manage Cultured Guru has been 100% out of my comfort zone. I just want to be as physically comfortable as possible while I face my anxieties and boundaries head on.” She may not be wearing heels, but she’s high-stepping into some major success, so hey, we’ll take it! For more on Kaitlynn, Scotty, and all things fermented & fun, check out the Cultured Guru Instagram, Facebook, and Pinterest!